Welcome to Orange County New York Real Estate, in the beautiful Hudson Valley. Our office is located in the Town of Warwick, N.Y! 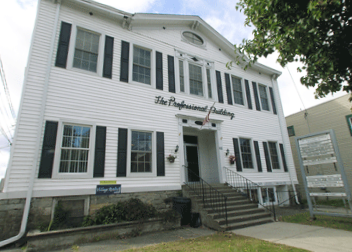 We're right in Suite 101 of the historic Professional Building at 62 North Main Street in the Village of Florida, N.Y.
We offer the best real estate solutions for Sellers and Buyers in great towns like Warwick, Pine Island, Florida,Westtown, Chester, Goshen, Monroe, Middletown, Pine Bush, New Windsor, New Hampton, Slate Hill, Central Valley, Cornwall, Port Jervis, Montgomery, Walden, Campbell Hall, Balmville, and the Towns of Newburgh, Minisink, Wallkill and all areas in between! Since 1968 we have been helping people buy and sell their homes. We also have worked countless Commercial and Land sales as well as Commercial and Residential Leases & Rentals. Our office is located at 62 North Main Street in the Village of Florida New York, in the beautiful Town of Warwick. We're in the middle of Southern Orange County, and we know it very well. Give us a call at (845) 651-4466 we are here for you.